If the prospect of cutting, stripping and twisting wires together is too much, consider Terex's Light Hub installation system. Featuring small but durable plugs that simply chain lighting together, this system saves time, money and the frustration of troubleshooting. The 6-way splitter is the backbone of the system. It has 6 ports that all do the same thing - connect your power source to your lights. 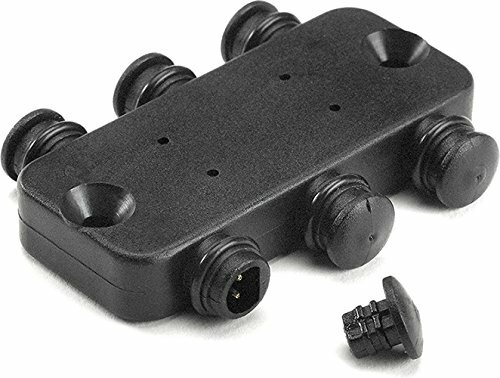 Simply link these together with Male/Male Light Hub wires (sold separately) and your next deck lighting or landscape lighting install will be faster and easier. If you have any questions about this product by TREX, contact us by completing and submitting the form below. If you are looking for a specif part number, please include it with your message.